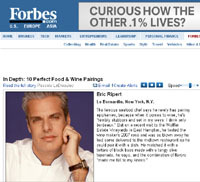 I haven’t tried it (it hasn’t been released yet), but according to Forbes.com, Eric Ripert, well-known chef at Le Bernadin, has a thing for Wolffer Estate’s 2007 Rose. It’s almost rose season, folks, one of my favorite times of year. 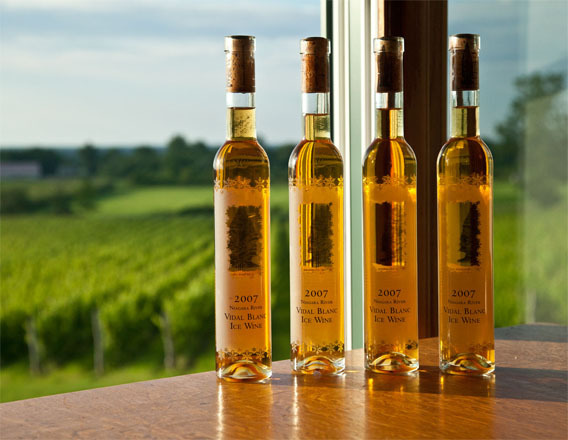 Long Island wineries have really upped the quality of their roses in recent years, leading to some of the most food-friendly wines around. But, most of them are best consumed the same year they are released. Once the acidity starts to fade, they aren’t as versatile and refreshing. I think I’m going to start an annual Local Rose Tasting this spring, once several of the new ones are on the market. We did it a few years ago for a story I wrote, and I think it was fun for everyone. I’ve got some other Le Bernadin-related news that I can’t share quite yet. Stay tuned. “Drink New York” Dinner with Arrowhead Spring Vineyards This Thursday. Now With a Special Treat.